So the last week and a half has been crazy hectic. 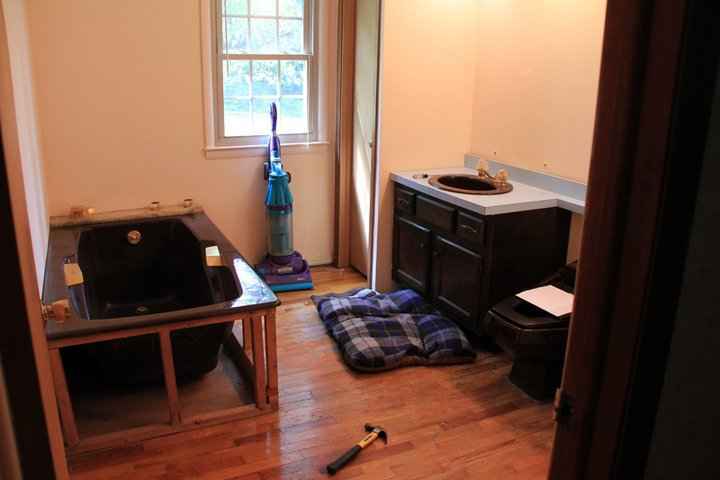 If you follow us on Facebook, then you know that we've been neck deep in turning a bathroom into a nursery, and getting the house looking nice before the appraiser comes out. With that being said, we ended up missing last weeks giveaway roundup and for that we sincerely apologize. If you please, don't put us in "Time Out" for it. Anyway since we missed it last week, we have one for you today that features some pretty sweet giveaways from around the outdoor blog-o-sphere. These items include huge prize packages, to a GPS, a sleeping bag, and more. So with no further delay, let's get straight to the goodies that are up for grabs out there and start the weekend off right. First up, Branden and Sarah at the Daily Hiker have an abundance of gear in their closet they've received for reviews and what not. Instead of keeping it (unless of course it's something like worn stinky shoes) they would rather give it away in hopes of inspiring you to get out and enjoy the outdoors. So this week they are giving away a Eureka! Casper 15 sleeping bag. All you have to do is submit a picture to them doing what you love to do in the outdoors. There's one catch to this one though. You have to make sure you have Daily Hiker represented in your photo. You have until August 15th to get your photo in for a chance to win. For all the specifics, check out Daily Hiker's giveaway post. Next up is a great giveaway as well. If you haven't already heard about Take A Hike GPS, you should go check them out. Kevin and crew have an awesome service and store going on. They sell and rent GPS units. 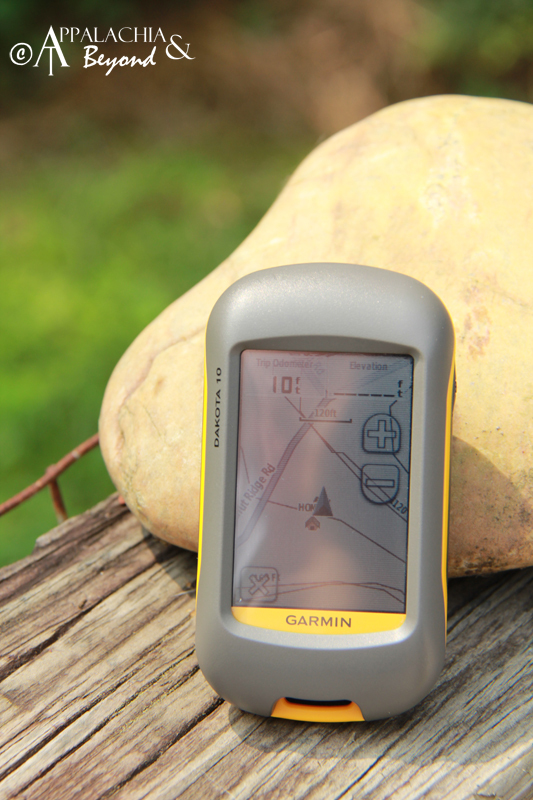 If you need a GPS for an upcoming trek but really don't have the cash to buy one, you can easily hop over to Take A Hike GPS's rental page and rent one from them for the week. Their rental prices are very reasonable and affordable and sending back the units when you are done is a breeze. So now that I've told you about them, let me tell you about the giveaway they have going on right now. They are currently running a contest to give away a Garmin Dakota 10 . That's right, the same unit we reviewed a few weeks back. The person with the most points at the end of the contest will be declared the winner. There are several ways to earn points but you'll have to check out the contest page for all the details. The contest will run through September so don't wait, go start earning those points now. These next two are just reminders for monthly giveaways. 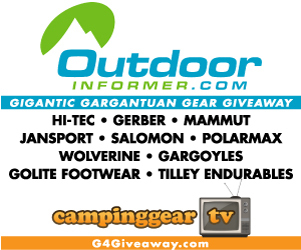 Outdoor Informer and Camping Gear TV have teamed up to bring us a Giant Gargantuan Gear Giveaway, dubbed G4. There are 15 prize packages that retail over $500 to be given away at the end of August. All you have to do is go to the G4-Giveaway page for all the details. You can enter once per day so don't forget to put your name in for one of the 15 prize packs. 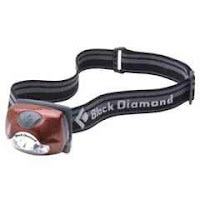 Finally, this month PAHikes.com is giving away a Black Diamond Cosmo Head Lamp . If you know anything about the outdoor industry, then you know that Black Diamond is top notch with climbing gear and their lights are pretty sweet, too. So head over to PAHikes' giveaway page to enter for this sweet headlamp. P.S. If you have a giveaway going on that you want to get the word out on, drop us a line at appalachiaandbeyond (at) gmail (dot) com. We'll be glad to put it in our Friday Giveaway roundup. Of course the gear has to be outdoor related.